The story of the fictional monster “Slender Man” is a familiar one for individuals who have perused the semi-underground areas of the internet over the last four years or so. 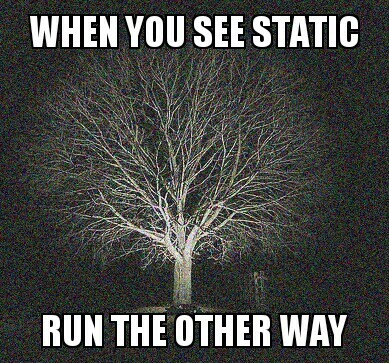 Beginning as an exercise in creating authentic-looking pictures of paranormal activity on the “Something Awful” forums, Slender Man’s murky origins and initially misleadingly realistic internet presence have lead to a large, online, cult following that have simultaneously carved the monster’s mythology and questioned his actual existence. Well-received horror video games featuring the iconic Slender Man raised knowledge and popularity of the monster, but also largely ended the eerie presence of reality Slender Man possessed in his more obscure, internet-only days. Despite the aura surrounding Slender Man disappearing over the last year or so, his presence has not entirely vanished. A following, fully aware of Slender Man’s internet-based origins, still believes that the monster may actually exist in some form, a testament to the myth’s authenticity. Regardless, the rise of Slender Man as an internet icon remains an intriguing, valuable case-study of the multi-media, multi-author permeation of a monster mythos. Times have changed for “The first great myth of the web.” Just a few years back, an internet search of “Slenderman” would have led to remarkably inconclusive results. Different wiki sites and various outlets treated Slender Man as most would Bigfoot; not proven, but just look at the evidence! Various blurry images and videos claiming to feature the monster were strewn about the internet and referenced to with an air of authenticity. Even more pervasive, many of these pictures enhanced their sense of reality by placing a fictional watermark on the image such as “City of Sterling Libraries, Local Studies Collection.” Fictional media stories referencing past events such as a local fires, assumedly Slenderman’s doing, also worked at carving a uniquely realistic framework for Slender Man to operate in. Most incredibly however, various pieces of even deeper false history were strewn throughout the internet to corroborate the reality of such fictional events. One photo caption reads: “Two recovered photographs from the Stirling City Library blaze. Notable for being taken the day on which fourteen children vanished and for what is referred to as ‘The Slender Man.’ Deformities cited as film defects by officials. Fire at library occurred one week later. Actual photograph confiscated as evidence.1986, photographer: Mary Thomas, missing since June 13th, 1986.” Coming across this information for the first time is a puzzling experience. The idea of the monster screamed “fakery” but the overwhelming evidence of, and general internet attitude towards Slender Man implied the opposite. Slender Man’s initial internet run was by far the most effective, catching online communities by surprise; no one had heard of him, but the minute, seemingly authentic bits of evidence on the internet indicated he may have been a blockbuster story/monster that had been overlooked with time. Like the best transmedia mysteries, hunting for Slender Man information felt like discovery; as if truly new, real information could be discovered about the monster if the internet was combed from end to end. Even in the initial run however, the end of the hunting came rather abruptly once the search finally led back to Slender Man’s origins on the Something Awful forums. Fake all along, but a great time nonetheless. Individuals who discovered the reality of Slender Man early on became his biggest supporters, further peddling the fiction across the internet to create an even more intricate web of confusion and misbelief. This version of Slender Man persisted for a number of years, both confusing and intriguing unsuspecting audiences. After a brief, low-resolution Slender Man video game subtly made the rounds across the internet from 2010-2011, an official, updated version of the game, “Slender: The Eight Pages”, released in June 2012 to critical acclaim. IGN reviewer Charles Onyett called it “pure horror” and the game was so popular that the server crashed on its official website when it became overloaded with downloaders. “Eight Pages” was an internet sensation, featuring a unique, short, fast-paced gameplay style that was praised for cultivating a horror experience free of bells and whistles, focusing instead on the fear of being increasingly pursued by the terrifying Slender Man. Though the game was a major success, it simultaneously further cultivated and worked to undermine the belief in Slender Man mythology. The large influx of followers from the video game greatly increased the permeation of Slender Man’s true origins on the internet, leading to a greater online sense that the myth was officially debunked. 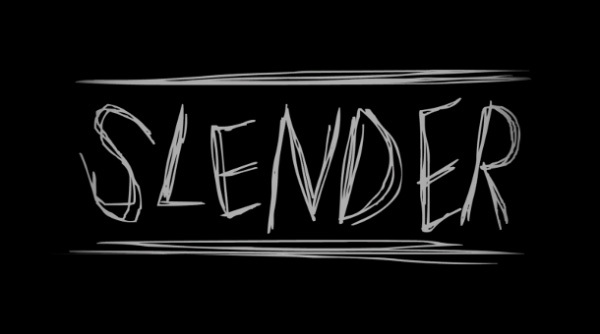 An official 2013 sequel, “Slender: The Arrival”, saw a much wider release than the original game, attracting even more followers. Soon after this point, Slender Man, as a potential Bigfoot figure, had primarily fallen into the history books as a meta-transmedia campaign that unofficially extended from its creation in 2009 to about the release of the first video game in 2012. Most remarkable about the development of the mythology is that it was slowly crafted by numerous, unassociated authors over the course of years. There are few instances of such campaigns arising on the internet so naturally and effectively. The collection of different groups operating under a mythos with established boundaries allowed for multiple authors to build the story at the same time without contradicting each other. This is likely what primarily led to the campaign’s great success. Though the peak of the Slender Man’s days has passed, he remains both an internet landmark and an enduring horror figure. A small sect of dedicated followers believes that the massive influx of belief and recognition of the monster may have made him a reality. New pictures and videos of Slender Man continue to be released on occasion, keeping the myth going for those who still believe. The Slender Man wiki continues to assume the monster’s existence throughout the article and mentions multiple theories as to his actual existence. Though ridiculous, if nothing else, the enduring following of Slender Man as a reality is a testament to the power of stories told from multiple perspectives and multiple mediums.